Who is the first kanaka, or human, of the Hawaiian people? Why do Hawaiians have a special connection to kalo? 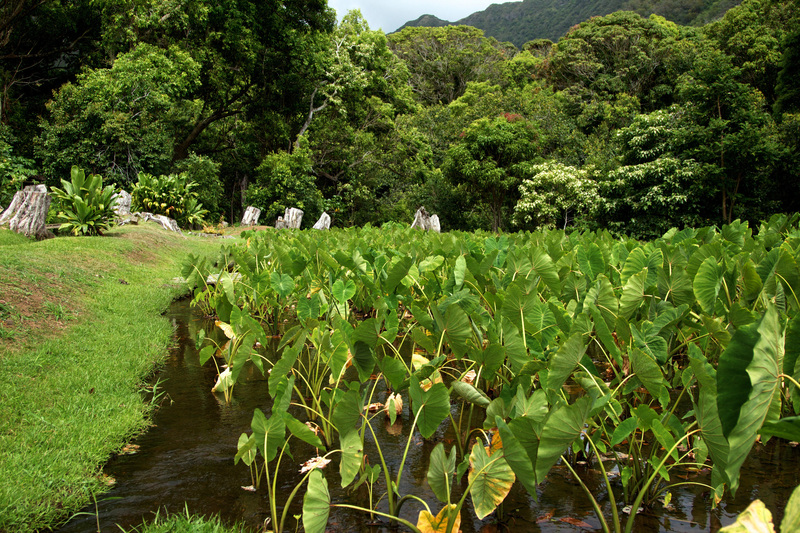 ʻAnakala Lanakila describes how the kalo plant and its growth cycles can symbolize a family. How does this apply to your ʻohana? What is the difference between the two Hāloa mentioned by ʻAnakala Lanakila? If you had the same name as an older sibling, parent, or relative, how would you make sure to bring honor to your namesake? 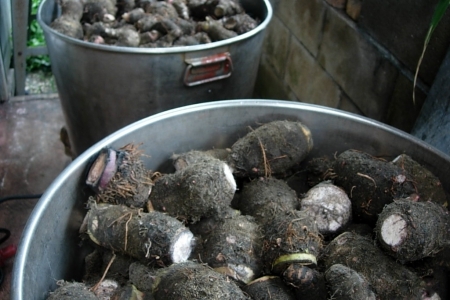 For Hawaiians, kalo is one of the most important foods. What can you do to help grow more kalo and produce more poi in Hawaiʻi? Mai ho‘omāuna i ka ‘ai o huli mai auane‘i ‘o Hāloa e nānā. Do not be wasteful of food lest Hāloa turn around and stare [at you]. Do not be wasteful, especially of poi, because it would anger Hāloa. Let's talk story about … Hāloa! The story of Hāloa takes us back to the beginning of the Hawaiian people. So, to learn about Hāloa, we need to first learn some basics of Hawaiian genealogy. Hāloa’s father is Wākea. He is the expanse of the heavens. Hāloa’s mother is Hoʻohōkūkalani. Her name means to adorn the heavens with stars. Hoʻohōkūkalani's mother is Papa, the foundation that is earth. Hoʻohōkūkalani gave birth to a baby boy. But the baby was stillborn. The parents buried the baby on the eastern side of their house, the side of the morning sunrise. Before long, a plant started growing from the same spot where the baby was buried. This plant had a long stalk and a large, heart-shaped leaf. The leaves quivered and fluttered in the wind. This plant was named Hāloanakalaukapalili. It was the first kalo plant. Hoʻohōkūkalani became pregnant again. This time, a healthy baby boy was born. He was given the name “Hāloa” in honor of his older brother, the kalo. Hāloa was the first Hawaiian person. It is said that all Hawaiians trace their roots back to Hāloa. This means that we are all “mamo na Hāloa,” or descendants of Hāloa. Through our relationship to Hāloa, we are related to the kalo, the ʻāina, and the rest of the natural world. The story of Hāloa reminds Hawaiians that we are part of nature. The plants, animals, and islands are our ancestors, our kūpuna. We need to acknowledge and mālama these important connections. How are kalo and kanaka related? Kalo and kanaka are siblings. Kalo is the firstborn, and kanaka, or Hāloa, is the second born. In a family, everyone has to pitch in and take care of each other. For example, the older sibling takes care of the younger sibling. 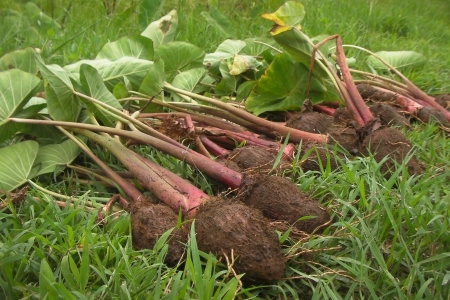 Kalo is the staple food of the Hawaiian people. 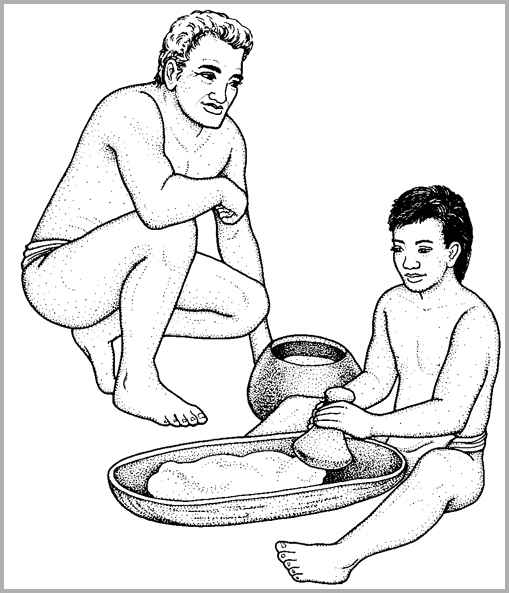 Kalo, as the elder sibling, takes care of the younger sibling (Hāloa the man) by providing food and nourishment. The younger sibling also has kuleana, or responsibility, to take care of his older sibling. As the younger sibling, Hāloa the man takes care of his older sibling—Hāloanakalaukapalili—by growing kalo, caring for it and the land it grows on, eating kalo, and not wasting kalo. Because all Hawaiians descend from Hāloa the man, we continue carrying out his kuleana. We grow healthy kalo. And in order for kalo to be healthy, we need to care for the land and the water that feeds the kalo. When these are healthy, we as a people are healthy. And our entire ʻohana is healthy—Papa and Wākea (Earth Mother and Sky Father), Hāloanakalaukapalili the kalo, and Hāloa the man. The relationship between Hawaiians (farmer) and the kalo (the crop) serves a practical purpose of feeding people. Besides sustaining life, this connection also demonstrates that the link between kalo and kanaka is a family relationship. Ke hōʻole mai nei ʻo Hāloa. This explains why, when the poi bowl was open, there must be no haggling, quarrelling, arguing, for this was displeasing to Hāloa. 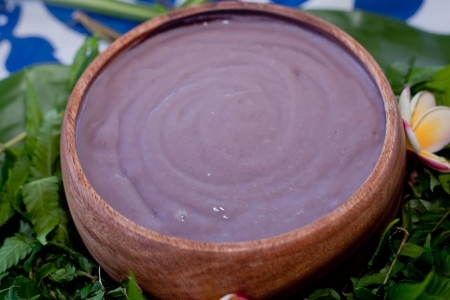 Eating around the poi bowl was the time for pleasantness and heartiness. Nor should any serious business be discussed until the poi bowls were covered. 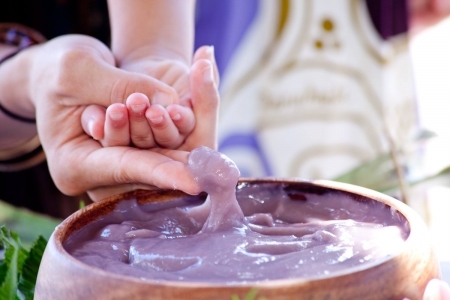 “Ke hōʻole mai nei ʻo Hāloa” was the warning that would be voiced by an elder if some child mentioned any work or undertakings while the family was gathered round the poi bowl. These were the names applied to the leaves of the very first taro plant, which according to legend was named Hāloa. Taro leaves are sometimes referred to poetically by these terms. Eia ua lani a Hāloa i pili ai ka hanu i ke kapu. Here is a chief descended from Hāloa, whose kapu makes one hold his breath in dread. A compliment to a chief. To be able to trace descent from Hāloa, an ancient chief, was to be of very high rank from remote antiquity. Nā aliʻi o ke kuamoʻo o Hāloa. Said of high chiefs whose lineage goes back to ancient times—to Hāloa, son of Wākea. Wākea mated with Hoʻohōkūkalani and had two sons, both named Hāloa. The older Hāloa was born a taro, the younger one a man. It was this younger brother that the high chiefs name with pride as their ancestor.